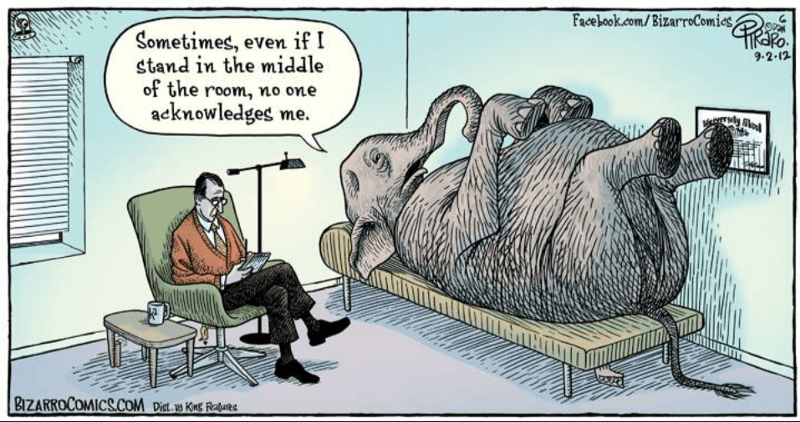 Isolation, a barrier of distance learning, may just be the “elephant in the room” of education technology. At its core, education technology aspires to improve learning through the use of technological innovation. Online courses, specifically on-demand learning options through university-run MOOC’s and subscriber websites like Lynda and Udemy, like the Internet on a whole take us that much closer to the Democratization of knowledge. People can learn nearly anything on their own time from the comfort of whatever device they have from wherever they are for little to no money and that’s amazing! However, as organizations and learning institutions further develop online-learning as a cost effective, scalable solution that empowers and educates their workforce and student body, they will have to address who they are teaching and how. Distance learning is exciting and that excitement is illustrated in the incredible growth of MOOC’s. 23 million people registered for a MOOC worldwide in 2016 alone (https://www.class-central.com/report/mooc-stats-2016). In that adoption also lies the inherent problem, it’s easier to sign up for something than see it through. Though data is not complete the estimated completion rate of a MOOC course is around 15% (http://www.katyjordan.com/MOOCproject.html). A recent report in the Chronicle for Higher Education found that institutions report dropout rates ranging from 20 to 50 percent for distance learners. And administrators of online courses concur dropout rates are often 10 to 20 percentage points higher in distance offerings than in their face-to-face counterparts. Research on the online environment shows that interaction among students and between the instructor and students is critically important for student satisfaction and retention. As a result, Ludwig-Hardman and Dunlap (2003) state “some students in distant learning programs and courses report feelings of isolation, lack of self direction, and management, and eventually decrease in motivation levels” (para. 4). Distance learning when learning on-demand via a wonderfully designed syllabus with videos for whenever consumption and assignments to be done at convenience, often ignore one of the key components of getting an education and that’s meeting with, working with and collaborating with the brilliant people we meet along the way. Social interaction drives the average student to be accountable and engaged. Indeed studies show that presence of peers and instructors throughout an online course increase the likelihood of student retention. Studies have found that students’ sense of social presence and instructor presence in online courses influence their overall perceptions of learning and students who perceive a lack of social interactions and instructor presence are more likely to withdraw and fail (Capra, 2011; Rovai & Wighting; Trello, 2007). Those that tend to succeed through on-demand, online instruction alone — when online education is a primary source rather than simply contributing to the continuation of a student’s studies — are those that have the skill set to self learn effectively. Enter face-to-face instruction. The classic model of learning is an effective combatant to isolation. It provides rich interaction with instructors, peers and course materials. To improve upon learning then, education technology must continue to focus on providing opportunities for new and current students to learn as well as providing the mentorship and social interaction of face-to-face instruction. Organizations adopting technologies to improve upon their educational offerings are looking more and more to blended learning — a method of teaching that blends traditional classroom instruction with digital media — with a focus on live, synchronous video classrooms. These courses can be centered on the traditional classroom with the addition of digital media (Face to face driver model of learning) to Flex where the majority of the class is online but offline support and social interaction remains. Universities, many of those offering continuing professional studies programs, are adopting blending learning methods to offer their programs to those that are unable to come to campus for a daily class. …[the] target population for many technology-based distance learning programs is the nontraditional student who may be combining education with work and family while dealing with time and location constraints. — Stokes, S. (2000).Preparing students to take online interactive courses. The Internet and Higher Education, p.161. 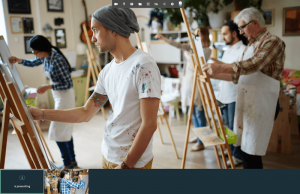 By offering the traditional classroom to those that prefer learning alongside peers and an instructor as well as utilizing webcams and a video collaboration platform to engage students unable to attend class due to distance, work and family, learning institutions are able to offer all of their students an interactive, face-to-face experience. Isolation is a barrier to distance learning. We see that playing out as one of the factors behind poor retention to distance learning programs. Recognizing that and innovating technologies to foster social interaction and live, in-class participation — even from a distance — is an important step to improving learning.